Posted on May 16, 2016 by Jenny S. by Jenny S.
Ryan Gosling and Eva Mendes are one of the more private couples in Hollywood, but The Good Guys star was happy to share a few details about his daughters during a recent visit to The Ellen DeGeneres Show. 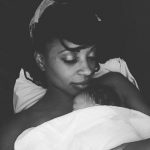 Posted on May 15, 2016 by Jenny S. by Jenny S.
Shanola Hampton and her husband, Daren Dukes, have welcomed their second child – a son named Daren O.C. Dukes, or “Doc” for short. Hampton’s rep reported that the little boy weighed 7 lbs., 6 oz., and measured 20 inches long. Russell Brand to be a dad! 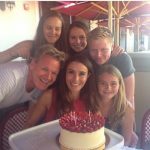 Posted on May 14, 2016 by Jenny S. by Jenny S.
Chef Gordon Ramsay and wife are expecting their 5th child! Gordon Ramsay and his wife, Tana, are pregnant with their fifth child! The Master Chef host shared the news with James Cordon while appearing on The Late Late Show. 6-time Tony Award winner Audra McDonald is pregnant! Posted on May 10, 2016 by Jenny S. by Jenny S.